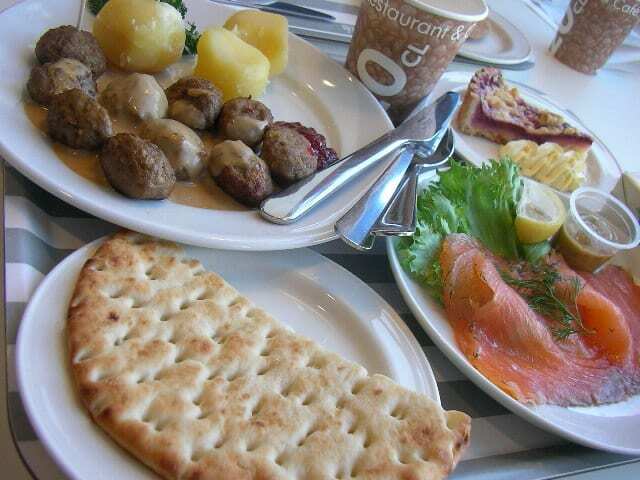 Hej, Ikea food fans! Celebrate Easter early this year at Ikea’s Easter Påskbord on April 5. 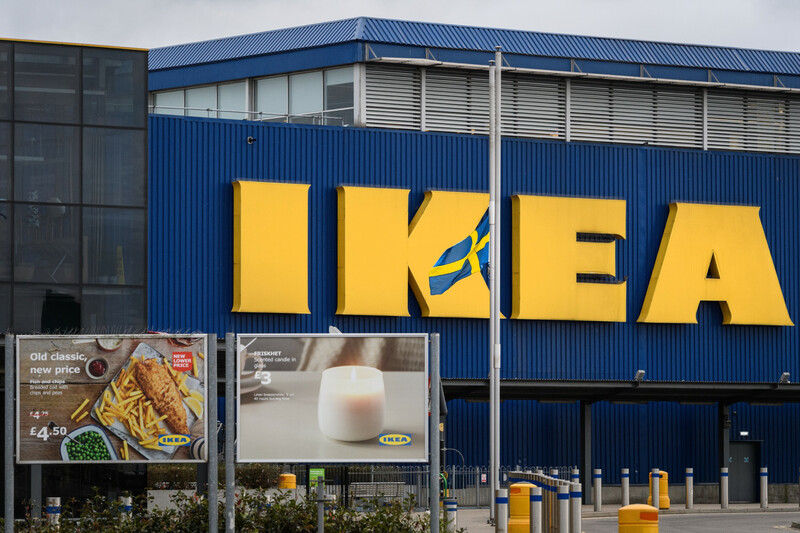 This year’s offerings include the classic Ikea Swedish meatballs and mashed potatoes with lingonberry jam — my favorite — plus plenty of other dishes that aren’t on the regular Ikea cafeteria menu. Deviled eggs with shrimp or seaweed pearls, cucumber salad, red potato salad and ham (a staple of the Swedish holiday table) make the list, plus an assortment of Swedish cheeses and breads (including crispbread, crisprolls, softbread and thinbread). Fish, of course, features prominently. Different presentations of salmon appear here and there, as well as “assorted varieties of herring” — Sweden’s favorite fish for all occasions. However, in scanning the menu, something called Jansson’s Temptations really jumped out at me. The name instantly intrigued me. It turns out that a Jansson’s Temptation is a potato-and-anchovy casserole most associated with Christmas in Sweden. It’s pretty simple — made with just potatoes, onions, anchovy fillets, heavy cream and bread crumbs. Oh, and butter. Lots of butter. So what’s the story behind the meal? The dish is named after Pelle Janzon, an opera singer from the turn of the 20th century who loved to eat. He must have been an incredible gourmand, because there’s more than one dish named after him! In any case, the Jansson’s Temptation seems to be the most famous of his namesake recipes. Color me tempted, too. The meal also includes dessert, because what would an Easter dinner be without some sweets? Customers will be able to choose from a choice of assorted Swedish desserts and cookies. The event will feature limited seating, so the company encourages anyone interested in joining the party to purchase tickets early. 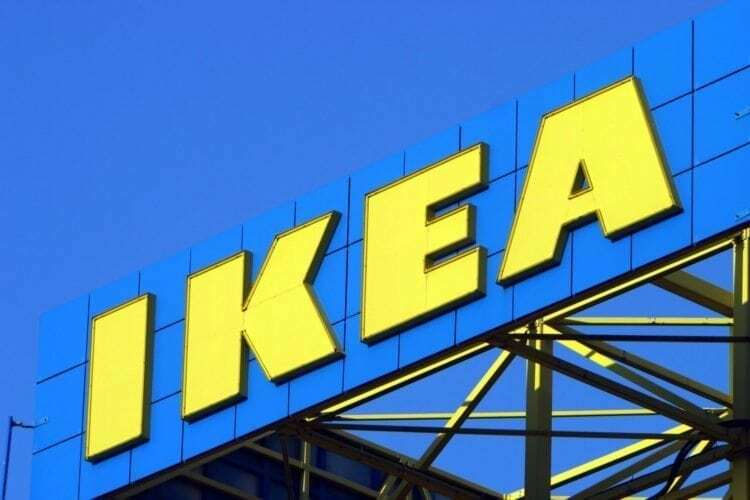 Check Ikea.com to find a store near you that’s participating in the Påskbord. The store can also provide more info on how to purchase tickets. Glad påsk! Will you buy a ticket to Ikea’s Easter feast?